“Tick” Technique in Scratch – Illusions and 3D printing! 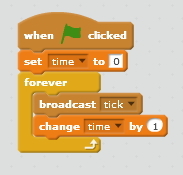 Today in scratch advanced, Mark covered a very useful method to organize your programs better if there are lots of moving sprites – which he calls the “tick” technique. The idea is that a single master loop ticks time and the Sprites react to this tick in their own way. 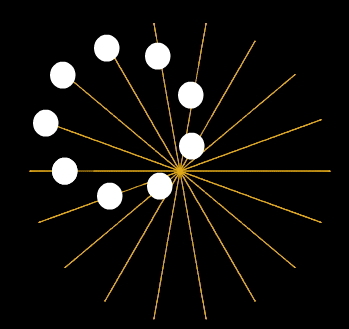 We showed two examples of using this tick – an optical illusion that shows that things can move in circles while just doing straight lines and a technique for building 3D models by layering sprites the same way that a 3D printer layers resin. The FULL Instructions for today’s projects are here – Enjoy!! It would be great if you tried out some of your own Tick projects, and demonstrated them next week at Scratch Advanced!